Explanation: What can the present-day terrain in and around large Endeavour crater tell us about ancient Mars? 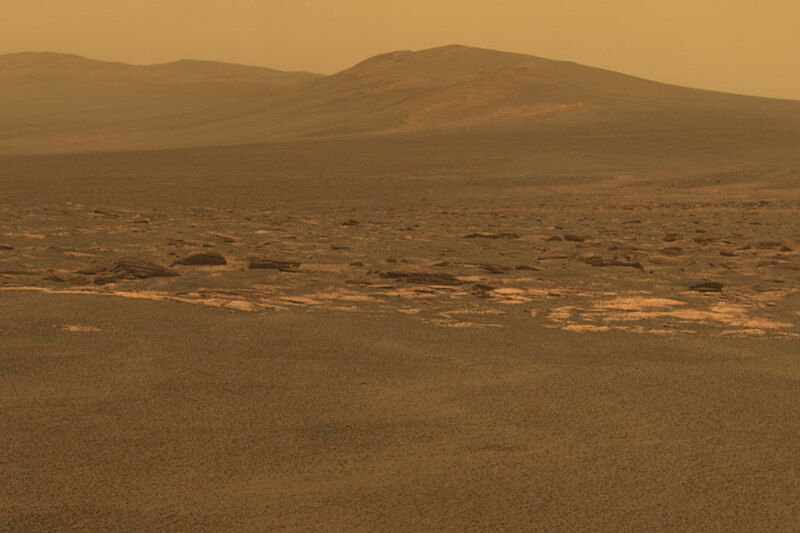 Starting three years ago, NASA sent a coffee-table sized robot named Opportunity on a mission rolling across the red planet's Meridiani Planum to find out. Last week, it finally arrived. Expansive Endeavour crater stretches 22 kilometers from rim to rim, making it the largest crater ever visited by a Mars Exploration Rover (MER). It is hypothesized that the impact that created the crater exposed ancient rock that possibly formed under wet conditions, and if so, this rock may yield unique clues to the watery past of Mars. 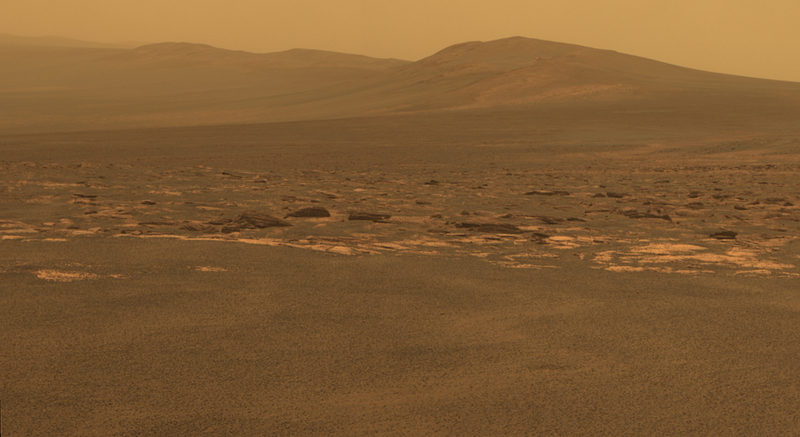 Pictured above, the west rim of Endeavour looms just ahead of the Opportunity rover. Opportunity may well spend the rest of its operational life exploring Endeavour, taking pictures, spinning its wheels, and boring into intriguing rocks.